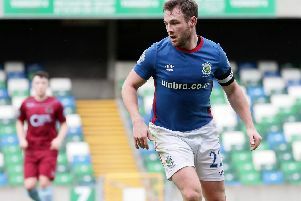 The Swifts currently sit two points behind the Glens in the race for seventh place and Lindsay admitted they cannot afford to slip further behind. “It’s a massive game,” said Lindsay. “We want to finish seventh so we can’t afford to drop points. “If the gap went to five points it would give us too much of a mountain to climb. “Realistically we’re going to have to win every one of our final games. We have to approach those final five games as cup finals. “It’s certainly going to be an exciting finish to the season, but that’s the way you want it to be. “As players, managers or fans you don’t want games to be dead rubbers, you want there to be something to play for. “It’s been a great season with so much to play for right through the entire league. There has been a big change at Glentoran this week with the appointment of Mick McDermott as Head Coach. Lindsay admits it may lead to a change in how the Glens approach the game, but he said the Swifts can only focus on themselves. “We can only focus on what we can control and that is what we do on the day,” he said. “We will prepare professionally as we always do and make sure we play to our strengths. Glentoran announced on Sunday evening that McDermott would be coming in as the new Head Coach. The former Iran Assistant Coach is looking forward to the challenge and has big plans for The Oval. “I’m aware of the difficulties the Glens have faced in recent years but as a Belfast man I’m also aware of how big the club is and what it will mean to the supporters, volunteers and the East Belfast community when we see the club restored to where it should be and where it needs to be. “I’ll be full-time here and I guarantee everyone at the Oval and in East Belfast that I will do everything possible to bring the best players to Glentoran from both inside and outside Northern Ireland. “The investor has been in discussion with Glentoran for a few months and is fully aware of the current situation of the Club in terms of playing squad; there is a good core of players that will be strengthened moving forward. “I also know that we have some exceptional young players in the current squad plus we have an Academy that would be the envy of many currently full-time clubs in the UK and beyond. “The investor is confident that we can deliver for Glentoran at the very highest level and bring full-time football to the Oval. 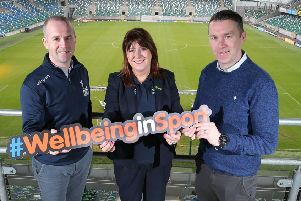 “We’ll return the club to a trophy winning place here in Northern Ireland but also make a mark in Europe – the goal being to win in Europe, not merely qualify. “The club has a great tradition in European competition but now there are so many opportunities for a forward-thinking club to progress in Europe and strengthen even further by doing so.